“Metaphors get compromised. Get eroded and need updating. Rerouting. Reconstituting,” writes Lia Purpura. This is just one of the luminous themes mined in her glittering new essay collection All the Fierce Tethers. In prose that is inventive, with ideas that contract and dilate with fluidity, Purpura considers the mundane and crafts powerful essays that traverse the landscapes that surround us. There are personal histories woven into philosophical thoughts in the essays “Entry Cove,” “My Eagles,” and “Walk with Snowy Things.” Although Purpura examines specific moments in her life, they lead to the discovery of universal truths that affect us all: neighborhoods changing, existential angst, and the visible and invisible boundaries we create. 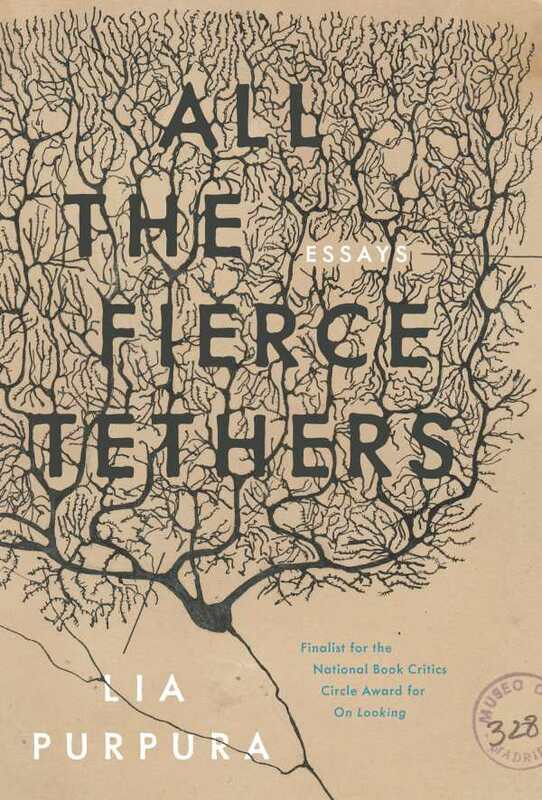 All the Fierce Tethers is about loss, rebirth, moments, and meanings. The prose is sparse and brief but precise and effervescent. It’s a collection to be read and reread for its wondrous ruminations, which lead to small revelations that feel like gifts to the reader.